Participatory Defense is a community organizing model for people facing charges, their families, and their communities to impact the outcome of cases and transform the landscape of power in the court system. Community members meet weekly to support each other, share firsthand knowledge about the legal system, and create a narrative of humanity around the person on trial. 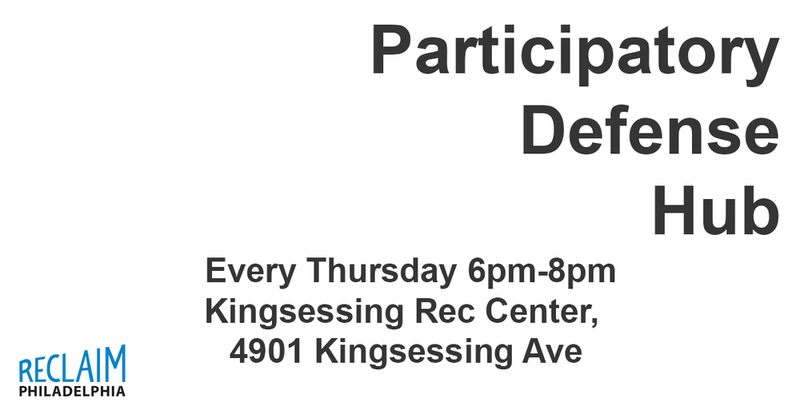 Meetings are every Thursday 6pm-8pm at Kingsessing Rec Center, 4901 Kingsessing Ave. If you know anyone currently facing charges that could use community support, please refer them to our hub!